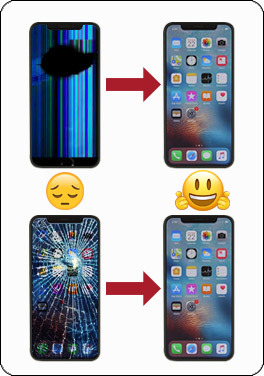 the time of the screen repair. Limited Lifetime warranty on most iPhone repairs. Use your phone on another carrier. We have 2 locations and have been in business for over 6 years. We have repaired over 15,000 devices. Your device is in good hands and we strive to give you the best customer service possible. Over 400 customer reviews. Read our reviews to see what our customers are saying or leave us a review. We greatly appreciate any feedback you leave. 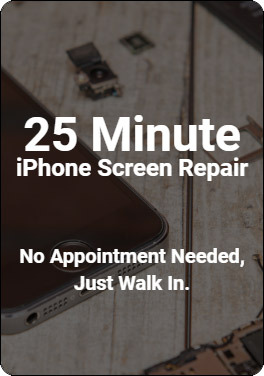 Most iPhone repairs take 20 to 40 minutes, no appointment is needed for an iPhone repair. Just walk in. 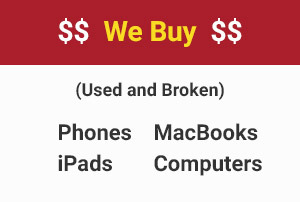 Broken iPads are generally repaired 6 to 48 hours. 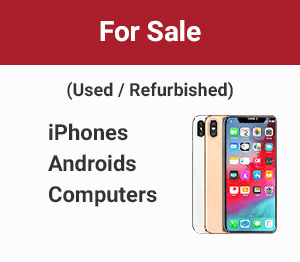 The time-frame for an Android phone repair is 1 to 6 hours. Our repair times are estimates and can vary depending on our current work load.